Late last week news services reported the Investigative Committee (SK) lodged serious allegations against former commander of the Special Designation Command (KSpN), retired General-Colonel Yuriy Solovyev. The KSpN was a forerunner of today’s VVKO. The gist of the story goes like this. 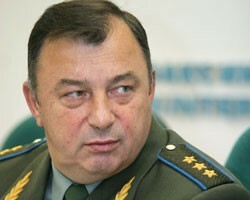 In 2006, Solovyev supposedly allowed a commercial firm, Proyekt Stroy to establish and operate an unregistered landfill on military property under his command. Specifically, military unit 62845, which, according to Warfare.ru, is the 584th Guards SAM Regiment (5th PVO Brigade), near the settlements of Lytkino, Marino, and Povarovo in Moscow Oblast’s Solnechnogorsk Rayon. The regiment operates S-300PM (SA-20 / Gargoyle) SAMs. The SK apparently plans to charge him for “exceeding his authority with infliction of serious consequences.” Gazeta.ru reports the 64-year-old ex-general checked into a hospital (where he can’t be charged or interrogated). His alleged crime could bring a possible 3- to 10-year prison sentence. According to Gazeta, Solovyev contracted with Proyekt Stroy to reclaim some land, but actually allowed it to use it for an illegal landfill. The dump grew five times, from four to 20 hectares (about 50 acres or 1/5 of a square kilometer), during Solovyev’s tenure, according to the SK announcement. Gazeta says specialists estimate the landfill has caused 8 billion rubles in environmental damages. The investigation is continuing, and more names connected to the case are expected to emerge. The news site noted that the case stemmed from an MVD investigation back in March. The MVD announced then that “an organized group consisting of former and current highly-placed RF Defense Ministry officials” was responsible for the dump. At the time, it estimated 13 billion rubles in damages to the state. The MVD said the pits Proyekt Stroy dug threatened Moscow’s reservoirs and groundwater sources. Federal Water Resources Agency experts found concentrations of toxins elevated by more than 200 times at the site. Vzglyad’s report on this story indicated mercury alone was found at 30 times the allowable level. Proyekt Stroy reportedly cut 18 hectares of forest before digging the landfill. Gazeta adds that locals described the dump as the size of five soccer fields and having a powerful stench of methane. One talked of changes in the color of a nearby stream’s water. He also estimated possible profit from the trash heap at $100,000 per day, and confirmed that the military controlled access to the site. Experts claim this isn’t a unique story, with more than 700 unsanctioned dumps located around Moscow. They’ve been ignored, but the problem is catastrophic. New Moscow Oblast Governor Sergey Shoygu has vowed to close illegal landfills, according to Vzglyad. 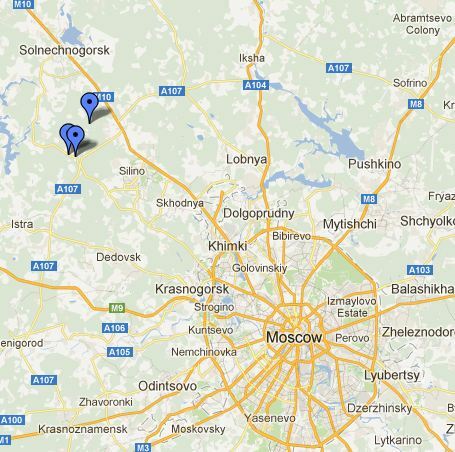 Kommersant’s March reportage indicated the dump was first reported by locals last September. The paper claimed 50 “guest workers” work there and live in nearby barracks. It added that the SAM regiment’s missile launchers were not more than 200 meters from the site. They’ve apparently found at least one person to blame.